Studies have shown that 68% of vegetarians and 83% of vegans are vitamin B12 deficient compared to only 5% of omnivores4. Vegetarians and vegans particularly at risk of B12 deficiency include pregnant and lactating women due to increased requirements, vegans who avoid common fortified foods (e.g. raw food vegans or macrobiotic vegans), as well as individuals above 50. The body needs a specific binding protein known as intrinsic factor to absorb vitamin B12. However, as we age, the body’s production of this protein dwindles and so does gastric acid secretion – these two factors contribute to a reduced absorption of vitamin B12. People with the following health conditions are also at greater risk of B12 deficiency: pernicious anemia, intestinal disorders (such as celiac disease, bacterial overgrowth in the small intestine, atrophic gastritis), hyperthyroidism, diabetics on medication metformin, people who use of acid-suppressing drugs, those liver disease, and anyone who has had a total or partial gastrectomy. 1. Vegetarian sources: Eggs and dairy products such as milk, yogurt and cheese. If you consume dairy, consider the raw type – a large amount of the vitamin is lost when milk is pasteurized or evaporated. 2. Vegan sources: Nutritional yeast (about 2 teaspoons will provide you with the recommended daily allowance for vitamin B12). The only reliable vegan sources of B12 are foods that have been fortified with B12 and B12 supplements. Cyanocobalamin supplement: 25 to 100µg per day OR 1000µg 2-3 times per week. Veggie burgers often contain eggs and dairy products so make sure to check the label first if you’re vegan. If you have been vegan or vegetarian for several years but haven’t been taking any B12 supplement, you may want to test your blood for holotranscobalamin (holoTC) or methylmalonic acid (MMA) to determine if you would benefit from a more therapeutic dose of B12. Testing for total serum vitamin B12 is a late and poor test of vitamin B12 deficiency, while testing for holoTC and MMA allows early treatment to be started before irreversible neurological damage occurs. Vitamin D or calciferol is also known as the ‘sunshine vitamin’ since modest exposure to sunlight enables the body to produce the vitamin D it needs using UV light and cholesterol in the skin. This fat-soluble vitamin is essential for calcium absorption. Obesity – a vitamin D deficiency messes with the production of the appetite regulating hormones leptin and ghrelin 14. 1. Vegetarian sources: If you eat fish, try to consume wild oily fish such as salmon, mackerel, and herring at least twice a week. You can also get some vitamin D from krill oil, fish oils like cod liver or skate liver oils. Tip! One study showed that wild salmon contains about 500–1000 IU vitamin D in 100 g (3.5 ounces), whereas farmed salmon contained about 100–250 IU vitamin D per 100g serving 13. The reason is that farmed fish are fed food pellets that contain no (or a very small amount) of vitamin D.
Milk and dairy products – make sure to choose full-cream products as part of the vitamin D naturally present in low-fat versions is lost when the fat is removed. 2. Vegan sources: Fortified non-dairy milks such as almond, rice and oat milks; mushrooms irradiated with ultraviolet B light for 5 minutes under controlled conditions‎ 13. Although vitamin D3 is better absorbed compared to vitamin D2 supplements, you may want to choose vitamin D2 over D3– vitamin D2 (ergocalciferol) supplements are vegan whereas vitamin D2 (cholecalciferol) is produced by the ultraviolet irradiation of a substance derived from sheep’s wool or animal skins. Vegans often believe that their calcium needs are lower than meat eaters since they don’t consume protein from animal sources. However, this theory is has been proven wrong and research has shown that vegans often tend to be calcium deficient 14, as calcium bioavailability from plant foods is affected by the presence of oxalates and phytates. Where can you get calcium? 1. Vegetarian sources: Milk and dairy products and bone-in fish. 2. Vegan sources: Dark green veggies such as broccoli, bok choy, collards, kale, mustard greens, Chinese cabbage, and okra, nuts, fortified foods, and blackstrap molasses. Poor sources of calcium include spinach, chard and beet greens, which are rich in oxalates that bind with the calcium in these greens, reducing bioavailability. In a recent 11-year study involving almost 24000 participants, those who took a calcium supplement were about twice as likely to suffer from a heart attack compared to those who didn’t take any supplement 17. So, should you take a calcium supplement? That’s up to you but if you do, make sure that you have adequate magnesium stores and that your diet is rich in magnesium (from green leafy veggies, legumes, nuts, seeds and fruits like bananas and blueberries). The reason is that taking a calcium supplement when you are magnesium deficient could lead to calcium buildup in soft tissues thus accelerating atherosclerosis 18. There are three kinds of omega-3 fatty acids namely EPA and DHA – the omega fats with the most health benefits – and ALA.
What happens if you don’t get enough omega-3? Pregnant and lactating women and seniors are the most vulnerable to omega-3 deficiencies. How to get enough omega-3’s? 1. Vegetarian sources: EPA and DHA can be obtained from seafood, krill oil and fish liver oils such as cod and skate. Eggs contain DHA. 2. Vegan sources: Seaweed and sea vegetables contain some EPA and DHA; nuts, flaxseeds, hemp seeds, pumpkin seeds and chia seeds contain ALA.
For people below 60 or those who just want to ensure that they are getting enough DHA: 200 – 300 mg every 2-3 days. For pregnant or lactating women; individuals aged 60 and above and those who want to have a DHA level similar to that of non-vegetarians: 200 – 300 mg per day. 4. Grind your seeds: Whole seeds aren’t digested well and will go ‘right through you’. 5. Reduce your intake of omega-6s from vegetable oils: The body uses the same enzymes to convert ALA into EPA and DHA and LA (a short chain omega-6) into a longer chain omega-6. What this implies is the more omega-6 you consume; the fewer enzymes will be available for ALA conversion. Instead, use grass-fed butter or virgin coconut oil for cooking and extra virgin olive oil for salads. 6. Get some ALA (even if you take a DHA supplement): Try to consume at least 0.5g of raw ALA per day. This can be obtained from three English walnut halves or 1/4 teaspoon of flaxseed oil or 1 teaspoon of ground flaxseed. [quote_right]Vegans were 80% more likely to be deficient in iodine[/quote_right] Due to a low iodine concentration in soil, iodine content in plant-based foods is lower compared to that of animal origin. In a small study, researchers found that vegans were 80% more likely to be deficient in iodine compared to vegetarians (25%) and participants on a mixed diet (9%) 23. A more recent and slightly larger study showed that US vegans were at higher risk of inadequate iodine intake whereas US vegetarians consumed sufficient iodine 24. What happens if you don’t get enough iodine? 2. Vegan sources: Potatoes with the skin, kelp, iodized salts (1/4 teaspoon will provide 75 µg of iodine) and plants grown in an iodine-rich soil. Tip! Vegans should consider taking an iodine supplement (about 75-150µg) every few days 5. Did you know that vegans typically consume more iron than meat-eaters or lacto-ovo vegetarians?25 Alas, the problem with plant-derived iron is how well it is absorbed – and it’s pretty poor compared to animal foods. Plants naturally contain phytate, a compound that binds to iron, making it less bioavailable to the body. Other common foods that inhibit iron absorption include black tea, coffee, dairy, supplemental fiber, as well as supplemental calcium. Consume a vitamin C rich food with your meals – for instance you could have a kiwi or some grapefruit or oranges before your meal or you could have a side of dark green leafy veggies, bell peppers or cauliflower with your meal. To reduce the effects of phytate, toast your nuts and seeds or sprout beans and grains. Soak legumes and grains in water and discard this water prior to cooking – this should decrease levels of phytate in these foods. Cook acidic foods such as tomato-based sauces in cast-iron pans. Avoid tea or coffee 1 hour before and 2 hours after your meals – the tannins in these beverages will decrease non-heme iron absorption. Spices such as turmeric, chilies, coriander and tamarind also contain tannins – if you’re eating Indian food, simply have a vitamin C rich food with your meal. If you take calcium supplements, take them between your meals – calcium also reduces absorption of non-heme iron. Zinc is a tricky issue for vegans. Though plant-based foods might be rich in zinc, the absorption of zinc is somewhat poor due to the presence of phytates. This means that even if vegans consume enough zinc in their food to meet or exceed the RDA for zinc, a deficiency may still occur, due to the low bioavailability of zinc. Thus, the needs of vegans are about 50% higher than omnivores. What happens if you don’t get enough zinc? 3. Supplement. If you are concerned about zinc deficiency, you can opt for a zinc supplement containing about 8mg of zinc – zinc gluconate and zinc citrate are two forms that are well-absorbed 5. Toast nuts and seeds before consumption. Include some fermented foods and sprouted legumes in your weekly diet. Dietary protein does much more than simply build your muscle mass – this macronutrient is involved in the production of new cells, neurotransmitters, hemoglobin, antibodies, enzymes and hormones. And it also maintains acid-base balance in the body. You feel sleepy at unusual times. You’re often irritated or depressed. Your usual daily activities or training become very tiring. You lose more hair than usual and your nails become brittle and break easily. You get sick or injured easily and you no longer recover quickly. Plant-based diets are often associated with inadequate protein intake but it’s relatively easy to meet your needs without eating meat. And nope, you don’t need to worry about protein combination – simply eat a varied diet to get enough of the various types of essential amino acids. Vegetarian sources: Milk and dairy products; eggs and fish. Vegan sources: Legumes and pseudo-cereals (such as quinoa, buckwheat and amaranth). Grains such as rice, oats, millet or barley; seeds and green leafy veggies also contain protein. Adults: At least 0.8g per kg of body weight if you consume eggs and dairy products and at least 0.9g per kg if you’re a vegan. Older adults: At least 1.0g per kg if well nourished. Remember vegetarian and vegan diets are not magic bullets against diseases – a plant-based diet can only be as nutritious and healthy as the food choices you make. Herbert, V. (2001). Loss of recent memory (where in the parking lot is my car? etc.) in persons age> 50 is often unrecognized subtle vitamin B12 deficiency, producing inadequate synthesis of new brain cells, but no anemia. FASEB JOURNAL (Vol. 15, No. 4, pp. A59-A59). 9650 ROCKVILLE PIKE, BETHESDA, MD 20814-3998 USA: FEDERATION AMER SOC EXP BIOL. Herrmann, W., Schorr, H., Obeid, R., & Geisel, J. (2003). Vitamin B-12 status, particularly holotranscobalamin II and methylmalonic acid concentrations, and hyperhomocysteinemia in vegetarians. The American journal of clinical nutrition, 78(1), 131-136. Norris, J., & Messina, V. (2011). Vegan for life. First Da Capo Press Edition. Watanabe, F., Katsura, H., Takenaka, S., Fujita, T., Abe, K., Tamura, Y., … & Nakano, Y. (1999). Pseudovitamin B12 is the predominant cobamide of an algal health food, spirulina tablets. Journal of agricultural and food chemistry, 47(11), 4736-4741. Holick, M. F., & Chen, T. C. (2008). Vitamin D deficiency: a worldwide problem with health consequences. The American journal of clinical nutrition, 87(4), 1080S-1086S. Baeke, F., Takiishi, T., Korf, H., Gysemans, C., & Mathieu, C. (2010). Vitamin D: modulator of the immune system. Current opinion in pharmacology, 10(4), 482-496. Holick, M. F. (2006). Resurrection of vitamin D deficiency and rickets. The Journal of clinical investigation, 116(8), 2062-2072. Visser, M., Deeg, D. J., & Lips, P. (2003). Low vitamin D and high parathyroid hormone levels as determinants of loss of muscle strength and muscle mass (sarcopenia): the Longitudinal Aging Study Amsterdam. The Journal of Clinical Endocrinology & Metabolism, 88(12), 5766-5772. Chen, T. C., Chimeh, F., Lu, Z., Mathieu, J., Person, K. S., Zhang, A., … & Holick, M. F. (2007). Factors that influence the cutaneous synthesis and dietary sources of vitamin D. Archives of biochemistry and biophysics, 460(2), 213-217. Calvo MS, Garthoff LH, Feeney MJ, et al. (2008) Light exposed mushrooms: From development to market of naturally enhanced plant sources of vitamin D. Proceedings of the 5th International Congress on Vegetarian Nutrition. Loma Linda, CA. Craig, W. J. (2010). 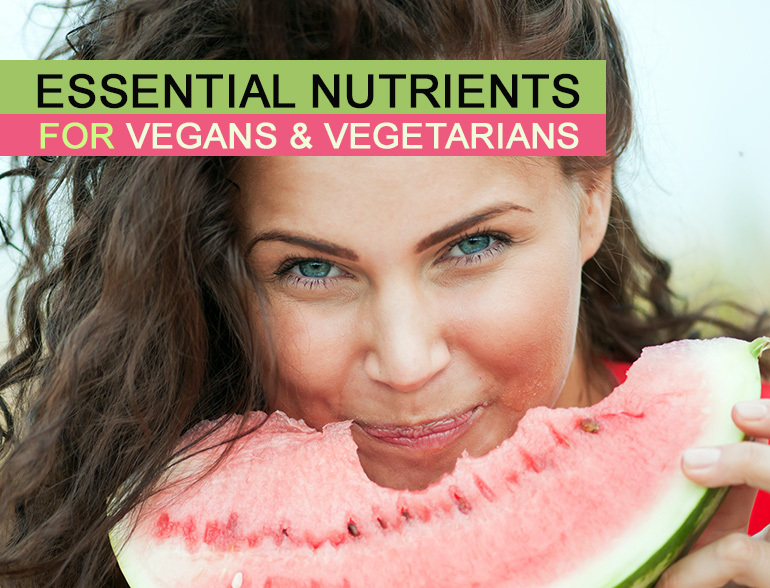 Nutrition concerns and health effects of vegetarian diets. Nutrition in Clinical Practice, 25(6), 613-620. Aggarwal, V., Seth, A., Aneja, S., Sharma, B., Sonkar, P., Singh, S., & Marwaha, R. K. (2012). Role of calcium deficiency in development of nutritional rickets in Indian children: A case control study. The Journal of Clinical Endocrinology & Metabolism, 97(10), 3461-3466. Hsu, H. H., & Culley, N. C. (2006). Effects of dietary calcium on atherosclerosis, aortic calcification, and icterus in rabbits fed a supplemental cholesterol diet. Lipids Health Dis, 5, 16. Li, K., Kaaks, R., Linseisen, J., & Rohrmann, S. (2012). Associations of dietary calcium intake and calcium supplementation with myocardial infarction and stroke risk and overall cardiovascular mortality in the Heidelberg cohort of the European Prospective Investigation into Cancer and Nutrition study (EPIC-Heidelberg). Heart, 98(12), 920-925. Chakraborti, S., Chakraborti, T., Mandal, M., Mandal, A., Das, S., & Ghosh, S. (2002). Protective role of magnesium in cardiovascular diseases: a review. Molecular and cellular biochemistry, 238(1-2), 163-179. Fedorova I, Hussein N, Baumann MH, Di Martino C, Salem N, Jr. (2009) An n-3 fatty acid deficiency impairs rat spatial learning in the Barnes maze. Behav Neurosci.;123(1):196-205. Bondi, C. O., Taha, A. Y., Tock, J. L., Totah, N. K., Cheon, Y., Torres, G. E., … & Moghaddam, B. (2014). Adolescent behavior and dopamine availability are uniquely sensitive to dietary omega-3 fatty acid deficiency. Biological psychiatry, 75(1), 38-46. Angerer P, von Schacky C. (2000) n-3 polyunsaturated fatty acids and the cardiovascular system. Curr Opin Lipidol.;11(1):57-63. Krajčovičová-Kudláčková, M., Bučková, K., Klimeš, I., & Šeboková, E. (2003). Iodine deficiency in vegetarians and vegans. Annals of nutrition and metabolism, 47(5), 183-185. Leung, A. M., LaMar, A., He, X., Braverman, L. E., & Pearce, E. N. (2011). Iodine status and thyroid function of Boston-area vegetarians and vegans. The Journal of Clinical Endocrinology & Metabolism, 96(8), E1303-E1307. Mangels, V. Messina, and M. Messina, The Dietitian’s Guide to Vegetarian Diets, 3rd ed. (Sudbury, MA: Jones and Bartlett, 2010), 530–35.